The Connecticut Farm Table Cookbook brings home cooks a stellar collection of 150 delicious recipes from the Nutmeg State’s celebrated chefs and the dedicated farmers, fishers, ranchers, foragers, and cheese makers they partner with to create dynamic New American and New England fare. This is the best of regional and farm-to-table cuisine from food producers and purveyors whose commitment to sustainability and quality is evident in everything they do. As consumers have demanded more locally grown foods, more organics, and foods with fewer additives, the locavore movement has taken hold across the U.S. Every state and region has their own unique products and their own version of healthful, wholesome, innovative cuisine. 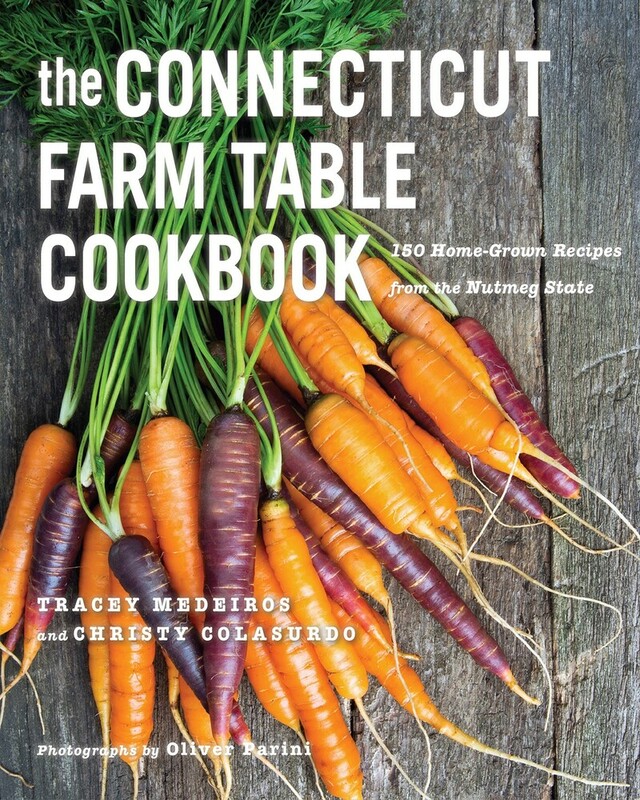 The Connecticut Farm Table Cookbook showcases delectable specialties that the state’s growers and chefs are creating using local microgreens, heirloom lettuces, sunchokes, ramps, quail eggs, Burrata, bison, chevre, heritage-breed pork, oysters, and more. Recipes are presented clearly and are easy to follow; they utilize ingredients that are readily available no matter where you shop. Along with mouthwatering recipes and beautiful photography you’ll be treated to fascinating profiles of food producers, chefs, and restaurants. This celebration of Connecticut’s healthy, sustainable food scene is a collection to savor and return to again and again. Tracey Medeiros is a food writer, food stylist, and recipe developer and tester. She writes "The Farmhouse Kitchen: A Guide To Eating Local" column for Edible Green Mountains Magazine. Medeiros is also the author of The Vermont Farm Table Cookbook (The Countryman Press) and Dishing Up Vermont (Storey Publishing ) honored as 2010 National Indie Excellence Awards Finalist and 2009 Best Books Award Finalist (USA Book News). She travels regionally as a guest cooking instructor sharing her commitment to the sustainable food movement while providing skillful cooking demonstrations. Christy Colasurdo is the former Special Sections Editor at New York magazine, an award-winning writer, and co-founder of a company delivering wholesome foods from small Vermont farms to customers’ front doors. Colasurdo writes regular features for Westport, Fairfield Living, and other regional magazines, and is a contributor to CTbites.com, the definitive guide to the Connecticut food scene. She is also the author of Restaurant 2000 and Bar Excellence (Rizzoli). She lives in Westport, CT, with her family, and serves on the Board at Wakeman Town Farm and Sustainability Center.